She doesn’t play a huge role in the film, but Wonder Woman’s General Antiope has already made a big impact on the movie’s many fans. That’s partly thanks to the fact that she’s played by Robin Wright, who played a princess way back in 1987 and has now moved on to playing a sword-wielding Amazon badass who teaches Wonder Woman how to be a warrior. 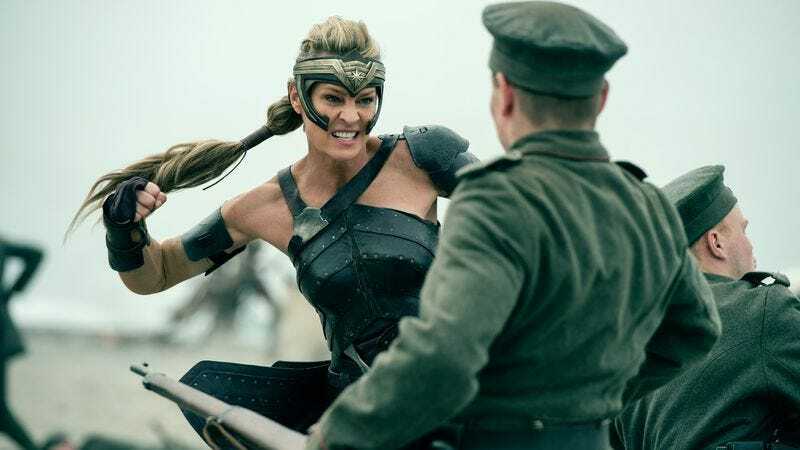 Unfortunately, as people who have seen Wonder Woman know, Antiope actually dies from a gunshot wound after Chris Pine’s Steve Trevor inadvertently leads German soldiers to Themyscira, but apparently that’s not the last we’ve seen of General Antiope. In an interview with the L.A. Times (via Screen Rant), Gal Gadot (who plays Wonder Woman), Connie Nielsen (who plays Hippolyta), and Wright herself revealed that Antiope will actually pop up in Justice League as well. Nielsen said that she and Wright “got to do more in Justice League,” with Wright chiming in that “you get some of the history” between them in that movie. The very obvious implication there is that Antiope will appear in a flashback of some kind, which matches up pretty well with some of the things shown in the Justice League trailer—specifically a very brief shot of what appears to be Amazons fighting against an alien army. Of course, people rarely stay dead in superhero stories, and Superman himself will almost certainly be coming back to life in Justice League already, so there’s probably plenty of room for another resurrection.